Founded by husband and wife Mr. Kun Chae Bae and Mrs. Myoung Hwa Bae KBC has been an integral part of the lives of all Koreans in Chicago. 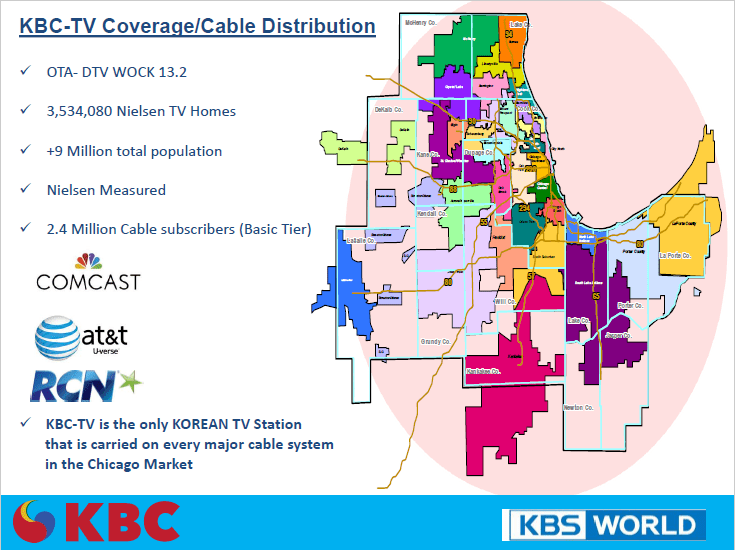 KBC-TV is the oldest and first Korean language locally focused video media in Chicago. 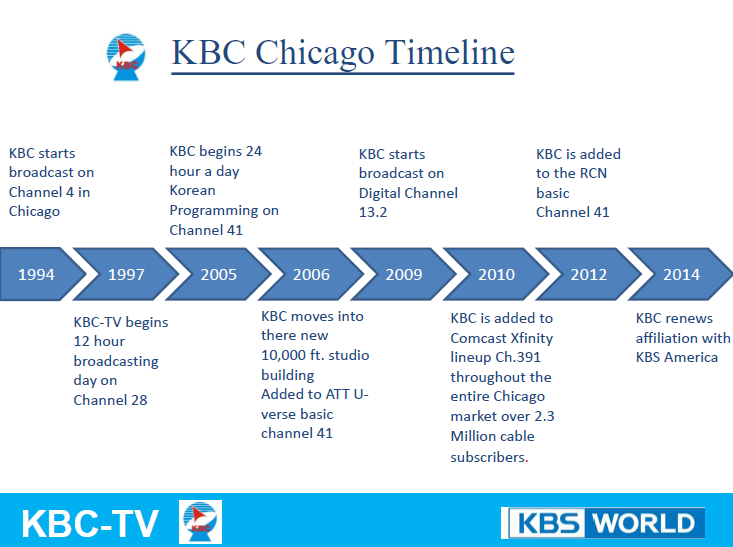 KBC started out by renting time on local cable systems and broadcasting its Korean language local news and bringing other Korean news and entertainment to Chicago. When Mr. & Mrs. Bae found an opportunity to own their own broadcast television station they jumped at the chance. 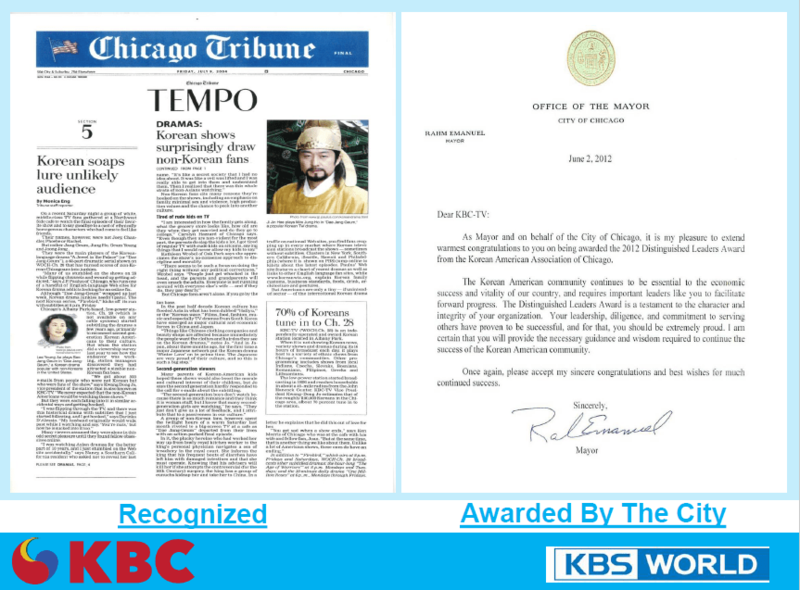 For more than 25 years they have been providing 24/7 news and entertainment to the Korean Community in Chicago. KBC-TV broadcasts its Korean language local news program 5 days a week. 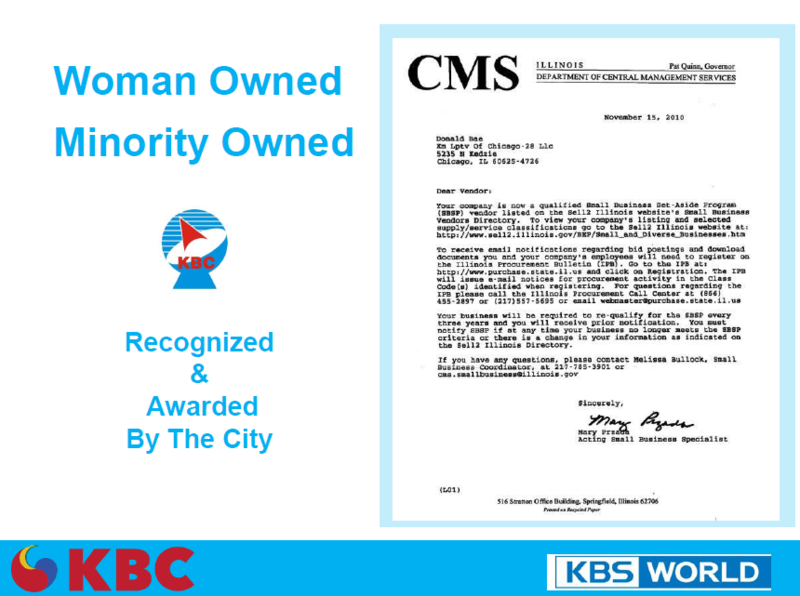 KBC News 930 seeks to provide news and information vital to the Korean Community. Olivia’s Issues and People profiles the people of the Korean Community in Chicago. Olivia also discusses important issues and showcases what’s hot in today’s Korean popular culture.